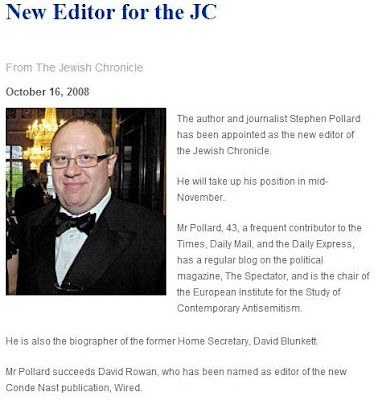 The Jewish Chronicle FINALLY has a new editor! This was brought to our attention by Jonathan Hoffman who said, "I cannot think of a better choice." We wish Mr. Pollard much success.